I love nail varnish and looking after my nails. I think it's one of the first things people notice about you and because of this I change my nail narnish every other day. 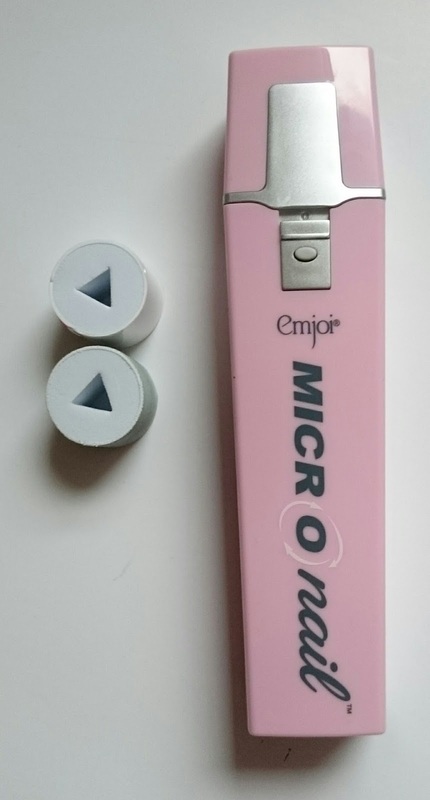 When I was offered the chance to review the Micronail, I knew it had to be done! I rarely have unpainted nails so I try to look after my nails as much as possible. I use nail treatments and as I mentioned, changed my polish every other day. So when the possibility of a product that might encourage me to let my nails breathe for a few days landed in my inbox I knew it was worth a shot! The Micronail promises to reveal naturally shiny nails in seconds and helps any nail polish you do decide to wear glide on. This is a two step process that really does take mere minutes! The smooth rollers rotate at 1800 times a minute to smooth ridges and imperfections instantly. 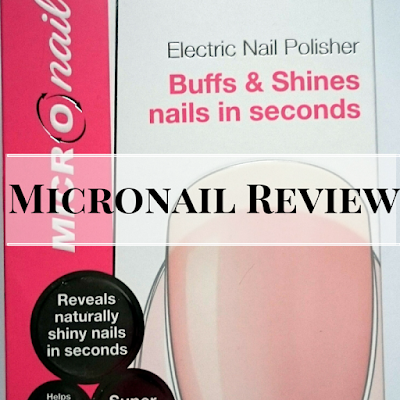 The shine rollers rapidly shine nails leaving them looking glossy and gorgeous. In the box you get two smooth rollers which help to eliminate imperfections and ridges and two shine rollers which buff your nails to perfection. 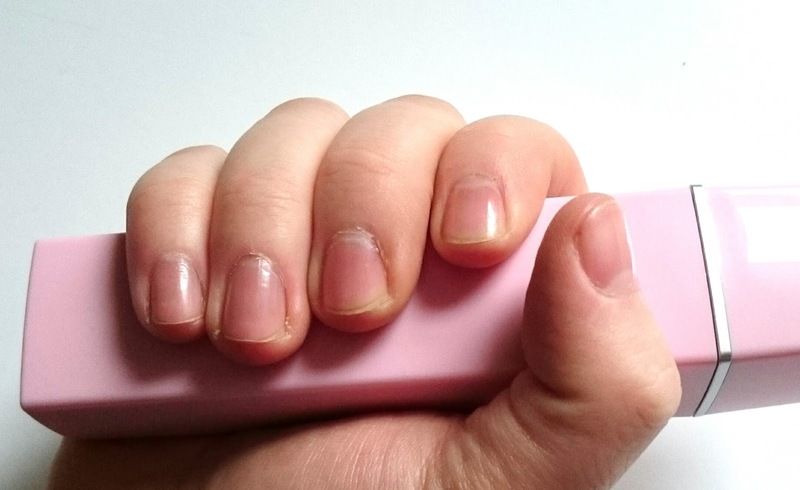 You simply pop on the desired roller, and pop it onto your nail for no more than two seconds. It really is that easy. The results last up to two weeks (seen above is a week!) and you should only use the product once every two weeks due to the smoothing effect. The Micronail is battery powered which I think is another plus! It's small enough to take away with you to make sure you can have gorgeous nails where ever you go. I did actually go a few days without painting my nails but when I did, I found it glided on effortlessly and left a perfect finish. This really does get the thumbs up from me! Do you go bare or are you a polish lover? I love the sound of micronail. My nails are good but my toenails are ridged and not smooth, would this help?